1. 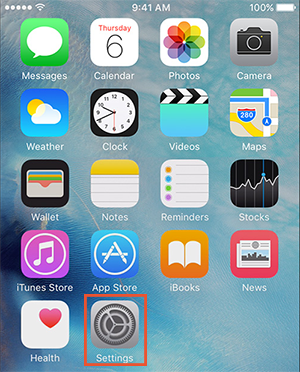 Select the "Settings" icon from the home screen. 2. 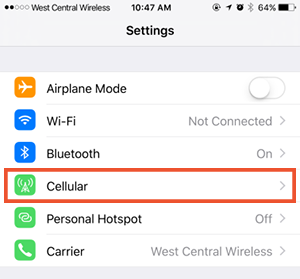 Once within the Settings, select "Cellular". 3. 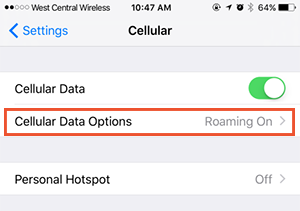 Select "Cellular Data Options" from the Cellular Settings. 4. 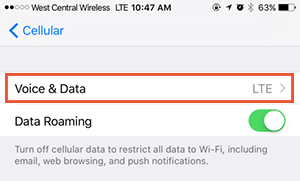 Select "Voice & Data" from the available Cellular Data Options. 5. 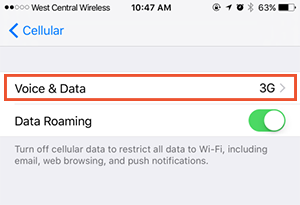 Select "LTE" from the available Voice & Data options. 6. 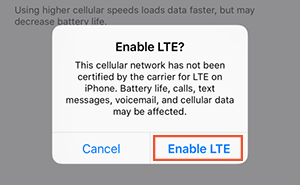 Upon selecting LTE, select "Enable LTE" in the pop-up displayed. 7. 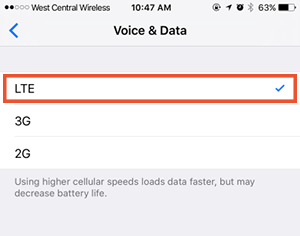 After successfully updating your settings, your phone will display "LTE" for the Voice & Data setting.